Leslie Kean's opinion about the White House's reaction to petitions on UFOs:"It is crucial to realize that the vast majority of U.S. officials are both uninformed about and uninterested in UFOs. And if they are open, they are so afraid of ridicule that they have limited capacity to act." Title: "UFOs and Government: Proposing a New Way Forward"
"In UFO circles, much fuss has been made about a recent response by the White House Office of Science and Technology Policy (OSTP) to two petitions on extraterrestrial/human communications, posted on a government website. Phil Larson, who was tasked to respond, has been accused of everything from lying, to cover-ups, to gross incompetence. But the real problem lies with the inappropriate and fundamentally flawed content of the petitions themselves -- not with the government reply to them. The critics seem to have lost sight of what the petitions actually said and did not say, while insulting and lashing out at Larson. One petition asks the Obama administration to "immediately disclose the government's knowledge of and communications with extraterrestrial beings" and the other to "formally acknowledge an extraterrestrial presence engaging the human race." The former asks for congressional hearings about "this subject" (communications with ET) while the latter requests the release of documents about "this phenomenon" (an extraterrestrial presence). Thousands of people signed on to the assumptions that extraterrestrial beings have been secretly talking to our government or somehow are involved with the whole human race. Try thinking about these bizarre and murky statements from the perspective of a scientifically-oriented government official. How is he to make sense of such absurd requests? Neither petition had anything to do with the subject of UFOs, as properly defined; no request for data on UFOs was included. And, chances are, Larson knows very little, if anything, about the evidence for UFOs. Like most government scientists, he likely dismissed the subject long ago as baseless and therefore irrelevant to space policy, and has never looked into it. Consequently, it's entirely logical that Larson would not make the leap from the question of extraterrestrial communications to the issue of physical unidentified flying objects. Did the petitioners not expect that their requests would be taken at face value? Without asking for acknowledgment of evidence for UFOs, you can't slam Larson for not providing it. He addressed the petitioners' concerns with an update on the current status of the scientific search for extraterrestrial life: "The U.S. government has no evidence that any life exists outside our planet or that an extraterrestrial presence has contacted or engaged any member of the human race. In addition there is no credible information to suggest that any evidence is being hidden from the public's eye." The "any evidence" here refers specifically to evidence of ET interacting with humans, not to evidence for UFOs. Within the realm of science and logic, his statement happens to be true. Unfortunately, the badly worded petitions asked for the wrong thing -- something obviously impossible for the White House to deliver. And, sadly for all of us, the subsequent attacks on Larson's statement (called "a travesty against the public" by one leading UFO researcher) will not serve to motivate officials to help our cause. It's important to realize that these two petitions received attention only because they acquired the requisite 5,000 signatures (now the minimum is 25,000) along with hundreds of others. Larson's response does not represent some kind of formal government statement on the UFO issue -- far from it. Larson simply provided an obligatory scientific response to citizens seeking an announcement of contact with extraterrestrials. The significance of his statement should not be blown out of proportion or spun as something that it is not. Those who claim that extraterrestrials are here are simply propagating nonsense -- a non-scientific belief that defies credibility. This is counter-productive and undermines efforts to get serious government attention for the issue of the existence of life beyond our solar system. I can't imagine this silly statement would go anywhere except into government office waste baskets. The only way to approach the issue of unexplained aerial phenomena in Washington and expect results is to present the facts and seek a legitimate inquiry into the small percentage of well-documented cases worthy of serious investigation. The approach represented by this petition has been shown many times before to be a failure. Further, those propagating this nonsense choose to make outrageous claims simply to get media attention, rather than focusing on the hard work that science requires. Any statement that implies the government is lying is going to be counter-productive. When someone accuses you of being part of a cover-up, you can't and don't engage with them. I got this sort of thing all the time at the Ministry of Defense, and no meaningful dialogue was possible with such people. I simply gave them a polite brush-off, and I understand exactly why this is necessary within government. To get results, a constructive request should stress the reasons why the phenomenon is worthy of official investigation. And what about members of Congress? The best I could do is approach a high level Hill staffer with knowledge of this issue, who wishes to remain anonymous. He works for a member from a relevant committee. "As is often said, politics is the art of the possible. Overly broad statements and fantastical claims of cover ups serve only to poison the well for anyone interested in advancing any subsequent suggestion for research or review of policies. Enthusiasm and conviction is no substitute for reason and evidence." Scientists are a difficult bunch to convince. Yet theoretical physicist Michio Kaku acknowledged on national television that the strongest UFO cases cannot be explained and appear to defy the laws of physics. But when asked if this confirms that there is extraterrestrial life, Kaku replied "No, we don't have that smoking gun" yet. Astronomer Derrick Pitts was swayed by the same evidence, accepting it because it did not involve "fantastic claims of alien visitation." Clearly, we can't make the leap from the existence of unknown airborne objects, for which we have proof, to claims of extraterrestrial communications, which can't be proven, if we want to appeal to scientists. Neal Lane, Rice University professor of Physics and Astronomy, was the director of the OSTP under President Clinton. "Implausible explanations for UFOs such as this one, made by enthusiasts and conspiracy theorists, are not effective in approaching government," he explained after reading the petition. "A strong case has already been made for a new U.S. role in cooperative investigations of UFO phenomena, involving U.S. cooperation with other countries in investigating the credible reports and making the results public." That "strong case" is the one I am proposing as an alternative rallying point, because it is steadily gaining the support of many key players who know how government works. Despite our own personal beliefs about alien spaceships, extraterrestrials, or government cover-ups, we have to adopt a strategy that will work. Our assumptions and conclusions are completely irrelevant -- and can be harmful -- to this process. It is crucial to realize that the vast majority of U.S. officials are both uninformed about and uninterested in UFOs. And if they are open, they are so afraid of ridicule that they have limited capacity to act. We have to educate them by presenting refined, concise, and well-documented official data on the UFO phenomenon. Timing is important, too; unfortunately, an election year is not the time to attempt this. An effective strategy involves establishing the fact that a UFO, by definition, is simply something unidentified (the acronym does not mean "alien spacecraft"); it helps to use the acronym UAP (unidentified aerial phenomena) whenever possible. The agnostic position, the scientifically sound one, acknowledges the accumulated evidence of an extraordinary, physical phenomenon but recognizes that we don't yet know what it is. Secondly, we need to provide a reason that government should care about UAP, such as pointing out that we could be vulnerable to exotic foreign spy planes or drones if we ignore reports; that these objects raise significant air safety issues; that we're losing potentially valuable scientific data about the nature of this recurring phenomenon. Thirdly, we have to invite government to engage in an investigation because we need its expertise, making its participation sound necessary and beneficial, rather than being accusatory. Specifically, we need a small government office to serve as a U.S. focal point in the investigation of carefully selected cases, in cooperation with the international community. A staffer would have immediate access to all pertinent data and witnesses when investigating a UFO incident, working in conjunction with a qualified civilian oversight board. This proposal has received the support of generals, former and current government and military officials, scientists, and many other VIPs from around the world. John Podesta, President Clinton's former chief of staff who served as co-chair of Obama's transition team, has been one of the more public proponents of what he calls "a new way forward." Labeling himself a "curious skeptic," he wrote in 2010 that "It is definitely time for government, scientists, and aviation experts to work together in unraveling the questions about UFOs that have so far remained in the dark." He says that the plan for a small U.S. government agency is "an idea worth considering." Former Arizona Governor Fife Symington witnessed a spectacular UFO event while in office, but felt he had to keep that secret until ten years later. He knows from experience that change in government policy is desperately needed, and in response, he has publicly urged establishing this office, as have those in charge of government agencies investigating UAP in other countries. I have gathered a powerful coalition of high level government, military and scientific experts who support a rational, scientific approach to the UFO problem, as outlined here. We are all fortunate that such respectable figures have offered advice on how to frame this sensitive issue and work effectively with our government. Doesn't it make sense to take our cues from them? I invite all of those who are serious about UFOs to align themselves with this well-tested, productive approach. Once we have even the smallest change in the official position -- such as acknowledgement that UAP are worthy of investigation -- the door is opened. After that, anything will be possible." Stanton Friedman's opinion about the White House's reaction to petitions on UFOs: "If the discussion were in a court of law, Larson would have to be convicted of perjury." Title: "PETITION, UFOS, WHITE HOUSE AND LIES"
"I would love to have been a fly on the wall when personnel of the Office of Science and Technology Policy of the Executive Office of the President at the New Executive Office Building in Washington, D.C., discussed how to respond to a petition about disclosing data on UFOs. I suspect that nobody brought up the enormous amount of information available indicating that not only are aliens visiting, but the US and other government have been withholding information for many decades. The response certainly indicates intentional lying and misrepresentation or total ignorance. "We, the undersigned strongly urge the President of the United States to formally acknowledge an extraterrestrial presence engaging the human race and immediately release into the public domain all files from all agencies and military services relevant to this phenomenon." I, for one, was not one of more than 5000 persons signing the petition. My reason was straightforward. Having worked under security for 14 years and having researched the flying saucer phenomenon (certainly most UFOs are NOT alien flying saucers) for 53 years, I believe there is a very strong national security side to the question. I cannot see releasing technical data that could be of use to other countries also researching the phenomena and wanting to duplicate the extraordinary flying capabilities of the flying saucers… for military purposes. The response was issued by research assistant Phil Larson. He stated “The US government has no evidence that (1) any life exists outside our planet or (2) that an extraterrestrial presence has contacted or engaged any member of the human race. In addition (3) there is no credible information to suggest that any evidence is being hidden from the public’s eye.” No indication is provided as to just what sources, if any, were evaluated. Furthermore, a real red herring was provided: “There are a number of projects working toward the goal of understanding if life can or does exist off Earth.” He then discusses SETI, The Kepler Spacecraft, the Mars Science Laboratory (Curiosity), soon to be launched to Mars. None of these have anything to do with the extraterrestrial presence here, the petition’s topic!! Why mention them? Larson generously concedes that “The odds are pretty high that somewhere among the trillions and trillions of stars in the universe there is a planet other than ours that is home to life.” Odds cannot be determined when there is no data. He also foolishly states that “The odds of making contact with any of them — especially any intelligent ones — are extremely small given the distances involved.” To which distances is he referring, billions of light years to very distant galaxies?? Or 39.3 light years to Zeta Reticuli? Where is any data to support these totally baseless claims? Does he have travel schedules for civilizations outside Earth? Surely the astronomical community knows nothing about interstellar travel. More about evidence below, but let us first look at (3). No credible information to suggest that any evidence is being hidden from the public? Is he really unaware of the many TOP SECRET UMBRA CIA UFO documents that have been released so heavily redacted that many pages say “Deny in Toto” or that many others are blacked out except for fewer than eight words. Is he really unaware that because of a FOIA court case, the NSA has admitted finding 156 TOP SECRET UMBRA UFO documents. When finally released, one could read about one sentence per page with the rest being whited out. The excuse for redaction was that it is illegal to release sources and methods information. It is absurd to suggest that more than 95% of these UFO documents consisted of sources and methods information. Federal Court Judge Gerhard Gesell agreed the documents should not be released. “The Public interest in disclosure is far outweighed by the potential danger to the security of the United States should this information be released,” he wrote. Is Larson really unaware of the following 1969 statement by USAF General Carroll Bolender asked to decide Project Blue Book’s future: “Reports of UFOs which could affect national security are made in accord with JANAP 146 or Air Force Manual 55-11 and are not part of the Blue Book system….Termination of Blue Book would leave no official federal office to receive reports of UFOs . However, as already stated, reports which could affect national security would continue to be handled through the standard Air Force procedures designed for this purpose.” When BB was closed as a result of Bolender’s memo and for more than 40 years since, the public has been falsely told there was no government concern with UFOs. This was a flat-out lie. As late as 2011 there were official regulations in place instructing military pilots how to reports UFOs. Where is all this data? No evidence being hidden??? Since 1969 the public has been told (1) “No UFO reported, investigated and evaluated by the Air Force has ever given any indication of threat to our national security.” (2) “There has been no evidence submitted to or discovered by the Air Force that sightings categorized as unidentified represent technological developments or principles beyond the range of present-day scientific knowledge” and (3) “There has been no evidence that sightings categorized as ‘unidentified’ are extraterrestrial vehicles.” Skillfully constructed lies and deception!! What if any other agency such as the navy, CIA, NSA, DIA, NRO, ONI, Majestic 12, etc had done the reporting, investigating, or evaluating? I worked on programs such as nuclear fusion propulsion for star travel (at great cost) way back in 1961. If there was no threat to national security, why were military pilots officially ordered in 1952 to shoot down UFOs if they did not land when instructed to do so? Why did an AF general state that more than 300 jets had been scrambled? No evidence being hidden? Then why did Secretary of the Air Force Donald Quarles make the following statement in a very widely distributed press release, on October 25, 1955, about a large study concerning UFOs. “On the basis of this study, we believe that no objects such as those popularly described as flying saucers have overflown the United States. I feel certain that even the Unknown 3% could have been explained as conventional phenomena or illusions if more complete observational data had been obtained.” That the two supposedly factual statements (“3% Unknowns,” “incomplete observational data”) are bald-faced LIES is easily demonstrated. The data are compiled from “the study” whose title was NOT given in the press release (“Project Blue Book Special Report No. 14”) and which was not distributed, though the press release got very wide coverage. The Unknowns comprised 21.5% of the 3201 cases investigated by Battelle Memorial Institute (NOT 3%!!) whose identity was not given in the press release. Of great importance is that there was a separate category listed as Insufficient Information comprising 9.3% of the cases. By definition no case could be listed as an Unknown if there was insufficient information despite Quarles’s lie. A statistical cross comparison between Unknowns and Knowns showed that the probability that the Unknowns were just missed Knowns was less than 1%. It was also found that the better the quality of a sighting the MORE likely to be listed as an Unknown. Nothing Hidden? Surely you are joking, Mr. Larson. There were also many lies in the two huge reports about Roswell. One ridiculous one was even blindly accepted by the New York Times and appeared on the front page of the Sunday edition above the fold. Reports of bodies associated with the Roswell case were supposedly the results of observations of crash test dummies dropped all over New Mexico. Two very serious problems with this lie are that no dummies were dropped until 1953 (six years after Roswell) and that all were 6’ tall, weighed 175 pounds (just like pilots) and were in uniforms influencing drag and heating on the way down. There is no possible way even including time travel that they could have morphed into skinny creatures under 5’ tall with big heads and big eyes. Nothing Hidden??? Mr. Larson could have benefitted by consulting two other official US government reports besides “Blue Book Special Report 14: Symposium on Unidentified Flying Objects: Hearings before the Committee on Science and Astronautics, House of Representatives July 29, 1968.” This includes testimony from 12 scientists — all but one, myself, with PhDs. One finds multiple witness radar visual cases, sightings by astronomers and other scientists. There was also the half-million-dollar University of Colorado study (usually called “The Condon Report”) done for the USAF. A special UFO subcommittee of the world’s largest group of Space scientists, the American Institute of Aeronautics and Astronautics, reported that 30% of the 117 cases studied in detail could not be identified. There was also the Japan Air Lines Flight 1628 case of Nov. 16, 1986, which involved ground and air radar and airborne witnesses. The FAA radar installation’s data was confiscated by the government. The object was twice the size of an aircraft carrier. Nothing Hidden, Mr. Larson? Benefit might also be obtained by reviewing the extensive files of NARCAP (National Aviation Reporting Center on Anomalous Phenomena) which include loads of sightings by pilots. These are men entrusted to fly civilian and military aircraft carrying loads of people. Many outstanding cases are in Leslie Kean’s “UFOs: General, Pilots and Government Officials Go on the Record.” These cannot be ignored. Larson talks about evidence. One would think he would mention the literally thousands of physical trace cases from all over the world collected by researchers such as Ted Phillips. He says “no contact with any member of the human race.” Perhaps he should read Captured! The Betty and Barney Hill UFO Experience. A great deal of the testimony was obtained by psychiatrist Dr. Benjamin Simon. He had been a colonel in the army entrusted with directing a 3000 bed hospital treating shell shock war veterans. He was chosen by the army to star in their movie Let There be Light about his successful treatment of these early sufferers from PTSD. He had stated that the emotional intensity of the Hills as they relived portions of their abduction experience was every bit as emotional as that of his many military patients. What we have here is a travesty against the public, the press, and those many witnesses who have come forth. There is a classic example of bait and switch. Try to redirect attention from aliens visiting (the subject of the petition along with concerns about cover-up) to hypothetical meaningless talk of what might be way out there for which there is no basis at all. If the discussion were in a court of law, Larson would have to be convicted of perjury." Title:"Nick Pope: “I Governi sugli Ufo? Brancolano nel buio. 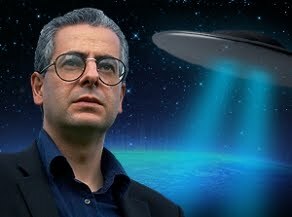 Ma gli Ovni esistono e sono una minaccia potenziale”"
"Nick Pope, what kind of work has done for his country during his tenure in UFO? "My job was to investigate all UFO sightings reported to the MoD, and to assess whether any element in them was a threat or was more generally of interest to the defense." How he got this job? What were the circumstances and characteristics for which she chose? "I had worked for many years at the Ministry of Defence. How can I be recruited in the project is a UFO person for whom I worked during the first Gulf War, Joint Operation Centre. He was impressed by my work, so he offered me the job. " They made her take a refresher course especially before you start work? "Just did a week of preparation with the person responsible for the assignment, which would have succeeded. At the time it was the normal practice ". During this preparation, what kind of information, what attitude and what transpired was the point of view provided by the institutions, about the UFO phenomenon? "I had only access to all files that the MoD had accumulated previously, so we know what we knew and what we did not know about the thing." According to his statement I know you believe in the existence of UFOs: in his opinion there are elements to assume that the phenomenon might represent a threat to the defense? "I am convinced that there is life out there in the universe, but I do not know for sure if we have been visited or not. I could not get a certainty. But no matter what UFOs are, the fact that sometimes fly close to military installations, and at times have threatened to cause collisions with aircraft, shows that there is a potential threat. " If this is so, because institutions always deny this fact, showing no concern but rather, displaying an attitude of selfless enough? "During my government I never had any evidence of a 'cover up' or of a conspiracy in place. That said, governments are always trying to minimize the issue and to conceal the scope of their involvement. 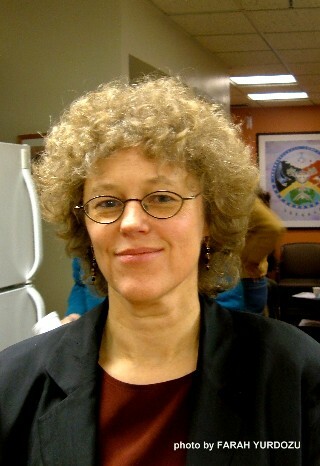 The reason for this attitude is the embarrassment of having to admit that not all UFO sightings can be explained rationally, because occasionally there are 'near misses' (near collisions) with commercial aircraft and why in attempts to intercept with fighter jets and the the military, when UFOs were tracked on radar, UFOs than in speed and outclass the planes in operation. " Within the institutions and or in the intelligence services, there are specialized task forces, which operate secretly, more depth, a planned monitoring of the phenomenon? Compared to declassified files, there are other documents related to UFOs and other studies that are not disclosed? "I do not think there is necessarily a specialized task force. But the Americans, the British and the old Soviet Union, together with other governments, I'm sure they busy with parapsychology, the occult, in areas such as telekinesis and remote viewing. I do not know if then these techniques as remote viewing, have been used in research on UFOs. " According to her, there would be a concrete reason for which people should be kept ignorant of the true extent of the UFO phenomenon? "As I said earlier, during my work for the government I have not encountered any evidence of a cover in place, so I do not agree on the fact that people are kept in the dark. But it is also true that the policy of minimizing the phenomenon has led the government to adopt an attitude, like to get on the defensive, which gave the perception (people) that the government was hiding something. I think the only thing you really have to hide the embarrassing fact is that they have absolutely the solution of the mystery of UFOs. At no government likes to say 'we do not know' .... "
So you think institutions like the American or English does not even know the true nature of some UFO phenomenon? "Not yet, not that I know." What does the disclosure? It 'something that genuinely inform the masses or the passage of an institutional agenda is a more complex? "Many nations of the world are declassified and releasing their UFO files. But obviously these documents do not contain definitive evidence that we have been visited by an alien civilization, subject to there really (the evidence). Usually these releases are the result of campaigning by the media or by UFO researchers, or often as a result of the exploitation of the Freedom of Information Act. " But disclosure is a real or just thrown a bone to the masses, to pretend not to have nothing to hide? "The files are certainly genuine, and in this sense it is true. But since the documents do not say what they would like to ufologists know, or that we have been visited by aliens), some think that the declassification of this material is merely an exercise in public relations, while the material is still kept secret really interesting, "
Have you ever seen a UFO personally? Have you ever watched incontrovertible evidence of the existence of UFOs, such as photos, videos, tracks on the ground ...? "I've seen some very interesting evidence (photos, videos, recordings of radar tracks, reports of drivers, etc..), But not conclusive evidence. I believe that the definitive evidence should involve the recovery of an artifact of some kind, and although there are stories of UFO crash and alien implants, I still have to be satisfied for each of these. " What do you think that may be? Since no one knows for sure, what is your best guess? "I do not know. Unexplained means not explained. I suspect that there is a single, clear explanation for the UFO mystery. Some secrets may well be prototypes and drones. Others might be some sort of exotic phenomena, atmospheric plasma source. I have already said elsewhere that one can not exclude the possibility that some phenomena may be of extraterrestrial origin. Maybe that is something we have not even thought about .. for which we do not even words to describe them. " What is the most sensational case that has worked? "The Rendlesham Forest incident, since 1980. In 1994, while working for the UFO project of the Ministry of Defence (MoD) review recently devoted myself to this event. is easily the most interesting UFO cases in England and indisputable. I appeared in several television shows to discuss this incident, and there is a lot 'of material on my website (www.nickpope.net). " Based on his experience, there is a part of crop circles that are not of human origin? If yes, what do you think that they serve? And who would the author? "No, I think. I think they are all made by humans. The reasons are many: for someone is something between art and graffiti. Others love the danger of going out at night and act in danger of being discovered. Others do it because they enjoy teasing people. " And what about the abduction? He thinks it's a real phenomenon? What's hidden behind? If you have any discussion with us? "Just like the UFO phenomenon, probably no single explanation: I think in fact that there may be several explanations for the phenomenon of alien abductions. Some cases are scams, others are attributable to some sort of hallucinations or obsessions. To this we add lucid dreaming, sleep paralysis, false memory syndrome, a number of other factors. However, this is not enough to explain all cases, and I suspect there are other factors at play here. Relied on scientific studies show that you are not in the presence of psychological disorders or fiction, it seems that even these, bringing to mind their experiences exhibit physiological responses (eg increased heart rate and respiration) not found in control groups of people certainly not given. I actually have work to do on this phenomenon during my work at the MoD, and my personal library contained about one hundred cases. One indisputable, involved a former model named Brigitte Barclay, with whom I worked for years. " In conclusion, what are the results, the wealth of experience to his work for the institutions of the left? "My view is that the UFO phenomenon remains unexplained. Should be investigated as appropriate, in view of the defense, national security, and aviation safety, as well as the potential scientific benefits. Despite no longer working for the government remain very interested in the matter and do an intensive media work in television, radio and newspapers. " What are your expectations for the future, in terms UFO? We will never be a massive contact? "Governments will continue to release records and the interest on the phenomenon will grow more and more, as we can see the growing number of television programs discussing UFOs. I'm not sure that there will be a ground contact, but can never happen will certainly be a historic day. " What do you think is the key to improved understanding of the phenomenon, for science, ufology and researchers in general? "In this media play a vital role and I try to work hard for this, my new cerriera journalist and popularizer. I'd like to see ufologists to become more scientific in their investigations, and more critical in their thinking, especially about the conspiracy theories. Then, in addition to stop looking at each other as rivals, ufologists and SETI should realize that they are trying the same thing, but following different paths and in different places. " What would it mean to those who deny the existence of the UFO phenomenon and ridicule the question? "I would tell these people that they should put aside their preconceptions and look at the best evidence in an impartial manner. Me is a difficult thing because it is full of UFO hoaxes and frauds, with sectarianism and fanaticism. " And to those who are convinced it is only secret weapons of human origin? "As mentioned earlier some of the UFO sightings could be caused by people who keep secret prototype aircraft, or drones. Clearly this is not a solution to all the inexplicable cases, because the projects are usually conducted in secret military areas where the public has no access. ""